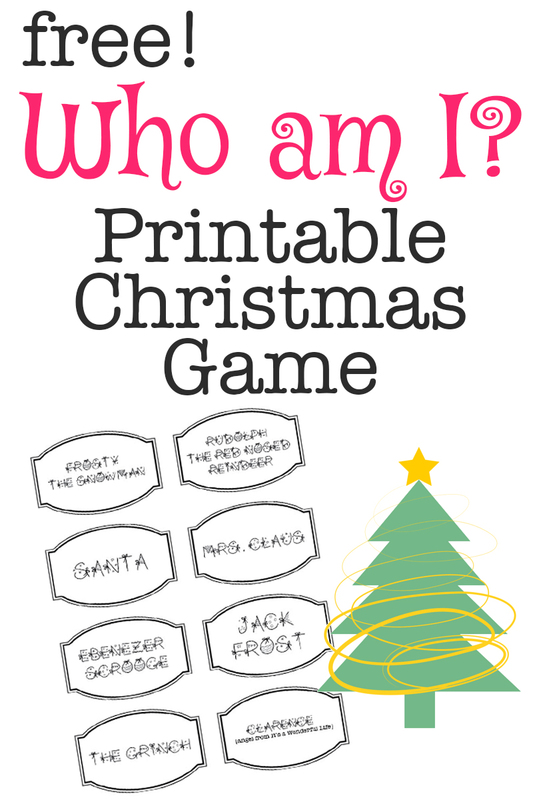 Printable Christmas Game: Who Am I? I’ve got a fun Printable Christmas Game for you today! Remember those Who am I games where you write a character on a sheet of paper and stick it to your friends back and then they try to guess who they are by your saying that they are so tall and that hat is so huge? Not to mention how awesome they are for that proclamation they wrote? Well, here is a free printable to get that fun Christmas style! I included 16 Christmas character names with a blank sheet in case you can think of some more. Add some fun at your next Christmas party or gathering… great for kids and adults. To download and print this pdf printable, just click here! SO fun! This would be great for a holiday party or family game night! !